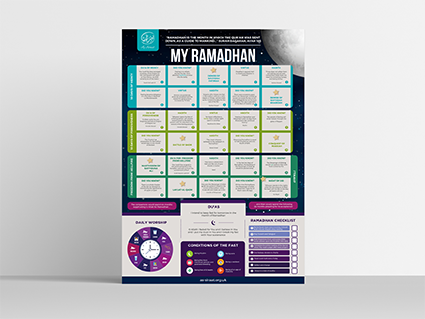 This A2 interactive poster has been specially designed to act as a working guide during the blessed month of Ramadhan. Features include a 30 day factual calendar which consists of hadith, virtues and duas in relation to the month of the Qur’an. The poster also boasts a checklist to keep children motivated in achieving targets and Qur’anic references about the month.